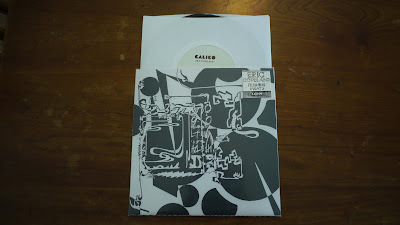 Calico Corp: Eric Copeland Flushing Meats 7" OUT NOW! Eric Copeland Flushing Meats 7" OUT NOW! Eric Copeland follows up his series of pop-minded psych singles on Post Present Medium with a further 7” single, this time leaning ever so further left field on Calico Corp. Reaching back into the warped depths of his instrumental work these two sides tear like Steve Reich’s ‘Come Out’ blindly crossfaded into some bent fiesta rave up. Dizzyingly abstract bangers in an edition of 300. Order and download directly from the Calico Corp. bandcamp.